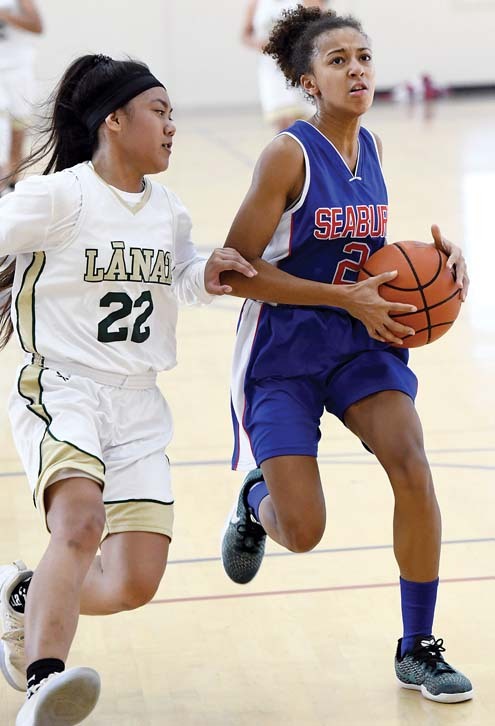 Anaulei Tuivai — one of only three Seabury Hall players to score — had 25 points in a 36-34 victory over Lanai on Saturday in a Maui Interscholastic League girls basketball game at Erdman Athletic Center in Olinda. The Spartans trailed 8-7 after the first quarter. Tuivai scored 13 points in the second, helping the Spartans (2-0) enter halftime with a 22-19 lead. Ameera Waterford scored nine points. The Pine Lasses (0-2) got 17 points from Arriana Maltezo. 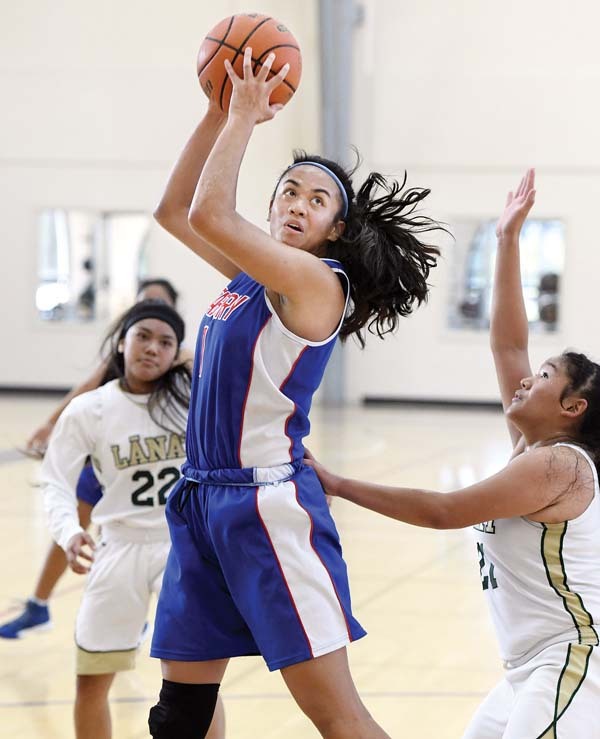 At Wailuku, Angel Pauole scored 15 points and Ashley Taylor Peralta added 14 as Kamehameha Maui improved to 2-1. Melissa Caliva scored 11 points for Baldwin (0-4). Gina Anton 0, Shaelyn Noble 0, Leah Vidad 4, Amaya Hoopii Baptista 1, Arriana Maltezo 17, Celina Romero 2, Giyana Agliam 0, Kayla Garcia 10. Anaulei Tuivai 25, Ameera Waterford 9, Rachel Gilbert 2, Chloe Gangnath 0, Quincee Tanaka 0. Siena Poepoe 0, Brylee Carillo 2, Shaylisse Gregory 2, Tatiana Soon 0, Kayla Yamashita 2, Logan Spencer 0, Kimani Fernandez-Roy 2, Mikiala Sniffen 2, Kaylee Cambra 4, Ashley Taylor Peralta 14, Angel Pauole 15, Tatiana Martinez 2. Melissa Caliva 11, Deja Cala Nakamura 2, Taylor Manangan 4, Jacquie Agorilla 2, Jenny Lopez 5. Baldwin at King Kekaulike, 5:30 p.m.
Lahainaluna at Baldwin, 5:30 p.m.
King Kekaulike at Maui High, 5:30 p.m.